In November 2015, the meeting between Ma Ying-Jeou – then president of Taiwan and leader of the Kuomintang (KMT) – and Xi Jinping marked a turning point in China-Taiwan relations. The meeting was historic. For the first time since 1945 leaders of the Chinese Communist Party (CCP) and the Kuomintang (KMT) had met. During the KMT leaders’ time in office (2008-2016), there had been a deepening of economic and political relations on both sides, including trade and investments and people-to-people relations. Moreover, the visit (the second of its kind since 1949) of the Chinese National Party’s or Kuomintang (KMT)’s chairman Eric Chu to Beijing in May 2015 highlighted the close cooperation between China and Taiwan and contributed to a strengthening of political and economic ties. Those ties were already established and developed during Hu Jintao’s presidency. Therefore, Eric Chu’s visit continued the reinforcement of party-to-party relations between the KMT and the Chinese Communist Party (CCP) as well as the easing of tensions between Beijing and Taipei through economic partnership. However, diplomatic and political struggles still exist between China and Taiwan (particularly through the one-China policy and diplomatic contest to win allies) and have done since the split between the nationalists and the communists in 1945. While Xi Jinping and Ma Ying-Jeou were disposed to the idea of rapprochement between China and Taiwan, there remain concerns from the majority of the Taiwanese population when it comes to unification with China. These concerns and fears were even higher when Tsai Ing-Wen as a pro-independence candidate was elected as Taiwan’s new president in 2016. She made it clear during her first days in office that Taiwan’s sovereignty should not be jeopardized by China’s ‘harassment’ and pressure for reunification and that democratic advances were key to maintain. Even though the previous Taiwanese President Ma Ying Jeou was favourable to the idea of reunification between China and Taiwan, President Tsai Ing-Wen, from the very beginning of her term in office, was clearly opposed. However, President Xi Jinping has recently strongly restated that Taiwan is part of China and should be fully integrated. He stressed that no concept of independence would be accepted by the Mainland. Such claims do not ease existing political tensions between China and Taiwan. President Xi even stated that China could use military force to prevent any Taiwanese claim for independence. Xi’s speech will not keep pro-independence Taiwanese quiet. The implications of Beijing’s political interference in Hong Kong within the “one country, two systems” framework have raised doubts for Taiwanese leaders and the population about considering reunification. Taiwan has already made it clear that a similar framework would not be acceptable, although Chinese officials believe it could be the solution that would lead to a rapprochement. Yet China’s officials carefully follow elections in Taiwan and concerns were raised about Beijing’s interference in Taiwan’s local elections. In November 2018, Chinese officials argued that the defeat of the Democratic Progressive Party (DPP) and Tsai Ing-Wen’s resignation as the party’s head following local government elections was due to the DPP’s desire for Taiwan’s independence. Such an idea was strengthened by KMT leaders who have highlighted Taiwan’s difficult economic situation (rising living costs, cuts to retirement pensions, slackening economy; etc.) which, according to them, is a result of Tsai ing-Wen’s policies towards Beijing. China’s officials in their quest to embrace Taiwan and put an end to any motivation for independence use the KMT’s political rhetoric against the DPP. This political rhetoric has been strengthened considerably since the DPP’s loss in November 2018. Although between 2008-2016, Taiwan-China relations were less tense, fears and concerns continued to exist on both sides. Fears were fuelled by Tsai Ing-Wen’s election in 2016 and Xi’s recent manoeuvres to remain in power for life, combined with his increased grip on all aspects of policy within the country. On the Chinese side, there is doubt about Taiwan’s unification with the mainland and on the Taiwanese side, there are concerns related to being under control of an authoritarian regime with the resulting loss of democratic progress already achieved. Such a situation jeopardises the rapprochement process between Taiwan and China. While China is pushing for reunification based on the “one country, two systems” policy, Taiwan is more cautious and calls for China to respect its sovereignty and the voices of its citizens for independence. In the meantime, there is more to gain in economic terms for both China and Taiwan individually as well as regionally as both play an important role in economic integration in East Asia. 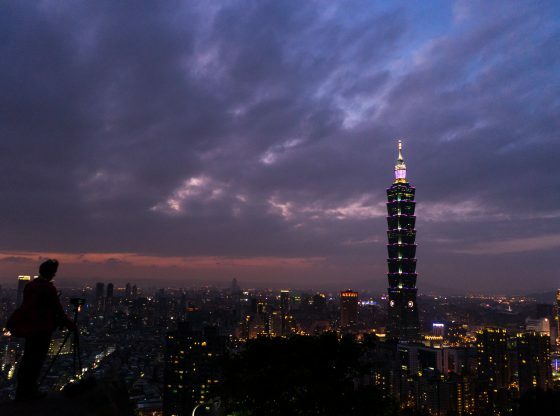 Less tension between Taipei and Beijing means political and economic stability in the region. This would be welcome, given the recent turmoil related to South China Sea disputes that have involved several countries in the region. 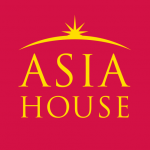 Instability has peace and security implications for foreign investors in East Asia in particular and Asia in general. Yet the United States aims at fostering peace and stability in the region. In the light of the current evolution of the situation, it seems that Taiwan is more focused on achieving economic gains rather than political ones even though there are voices in Taiwan which condemn the closer relations between the KMT and the CCP. As with their engagement with other countries, Taiwan and China could engage each other by fostering economic ties rather than conflict over political interests. However, it seems that domestic as well as international political and economic interests are intertwined and at times the former drive the latter. This drives suspicions among the Taiwanese about China’s intentions due to the country’s economic influence which may have implications for Taiwan’s politics and sovereignty. Daouda Cissé is an independent researcher based in Montreal, Canada. His research explores China’s domestic and overseas political economy and Africa-China relations. Image Credit: CC by Ludovic Lubeigt/Flickr.